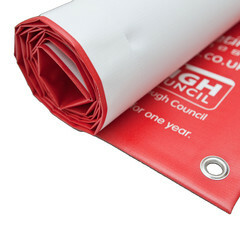 PVC banners are made to promote your business. Made of industrial grade PVC vinyl, these high quality, full colour, promotional banners are perfect for use indoors or out. Use outdoor banners to attract more customers, advertise store specials, announce grand openings, or promote an upcoming event. 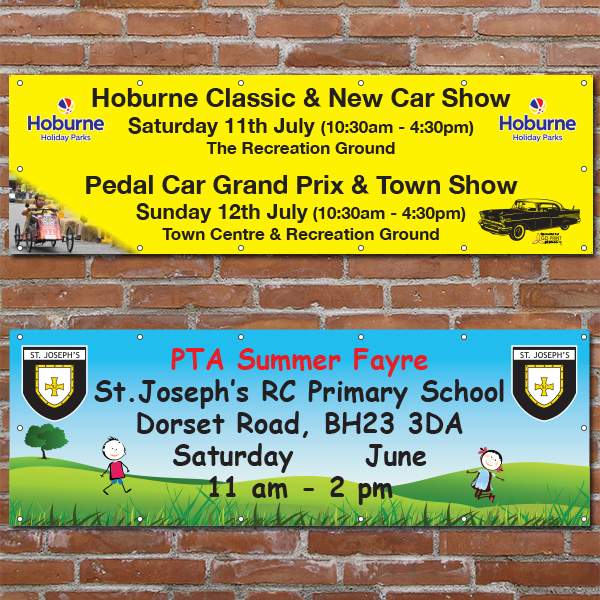 Ideal for use as a festival banner or during business promotions. Have an event at the BIC in your business future? Use PVC banners to attract customers and explain your unique services. 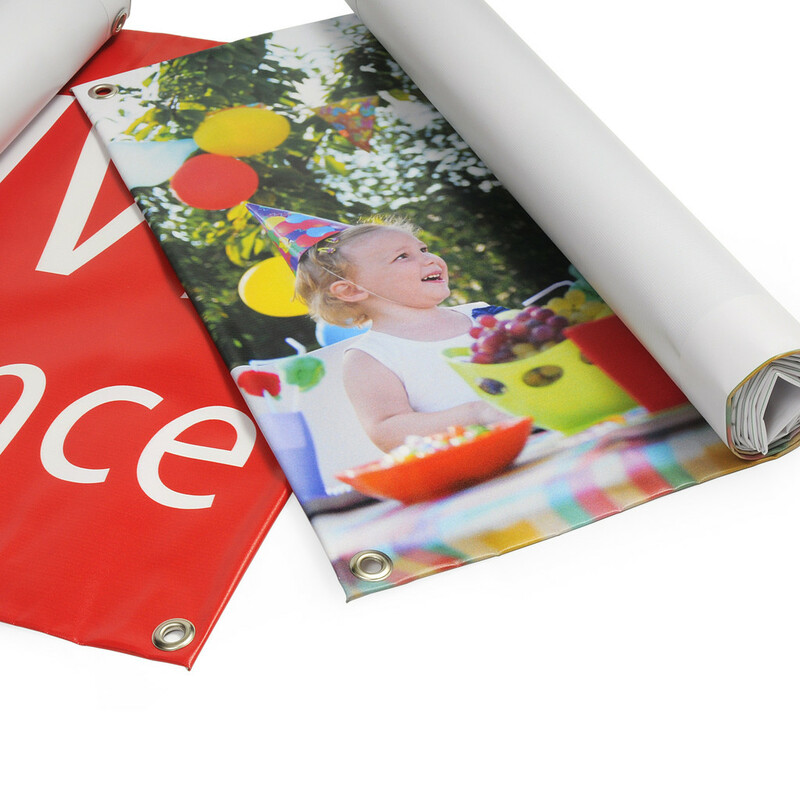 You'll get higher quality printing when you use GD Print Management for your outdoor banner printing needs. Many economy print shops make eight passes with the printer, to keep expenses low. We use high-quality, UV resistant inks and make a full 20 passes with the printer for high-quality graphics with no lines or streaking. You get great prices, great service and superior quality when you buy outdoor vinyl banners from us. It's easy to order your PVC vinyl banners. Browse our pre-made design templates and enter your own details and images to make it your own. You may upload your own artwork files to create a customised design. Our design help section can help you design your artwork for print, as this will ensure that the printing process runs smoothly and improve the quality of your finished design. 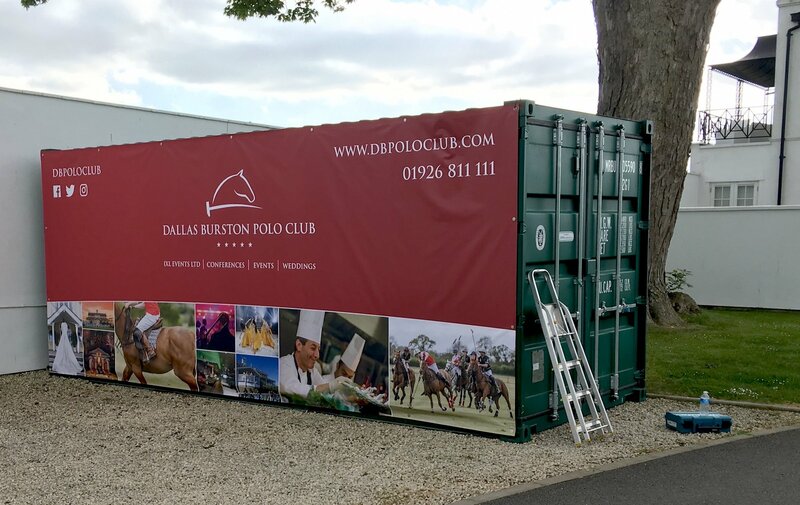 If you need custom design service, we can assist you in designing a completely bespoke banner for your company or event. Design services incur an additional charge.